Good Morning Traders~! A double bottom on the test of 1918 led to a 46 point rally back up. 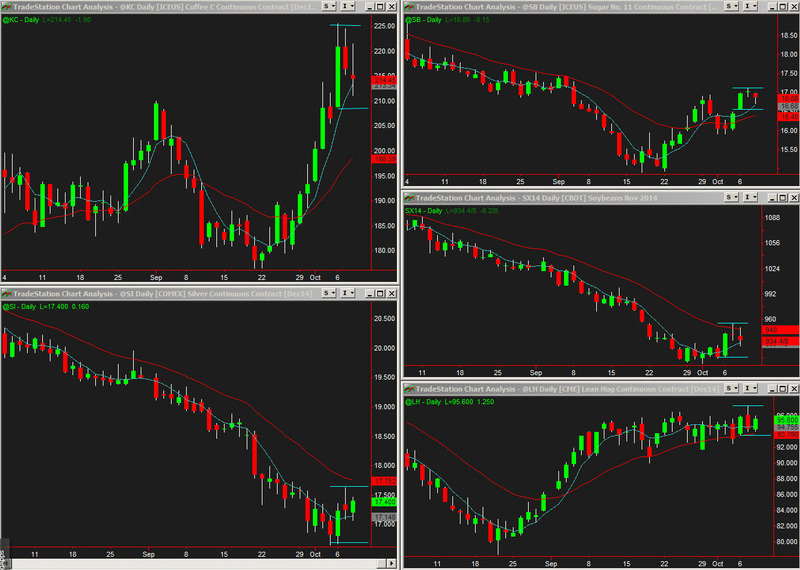 The SP and Rus had an outside UP day, also wide range reversals which can signal the start of a daily swing back up. The SPs would need to take out 1971 to confirm this though. The dollar index too, is undergoing a much needed correction/consolidation. So far on the weekly charts there has only been one down bar. 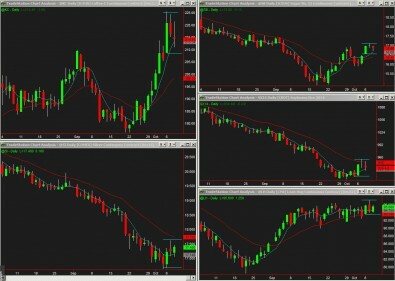 However, overall downside may be limited as the Weekly charts made new momentum highs. 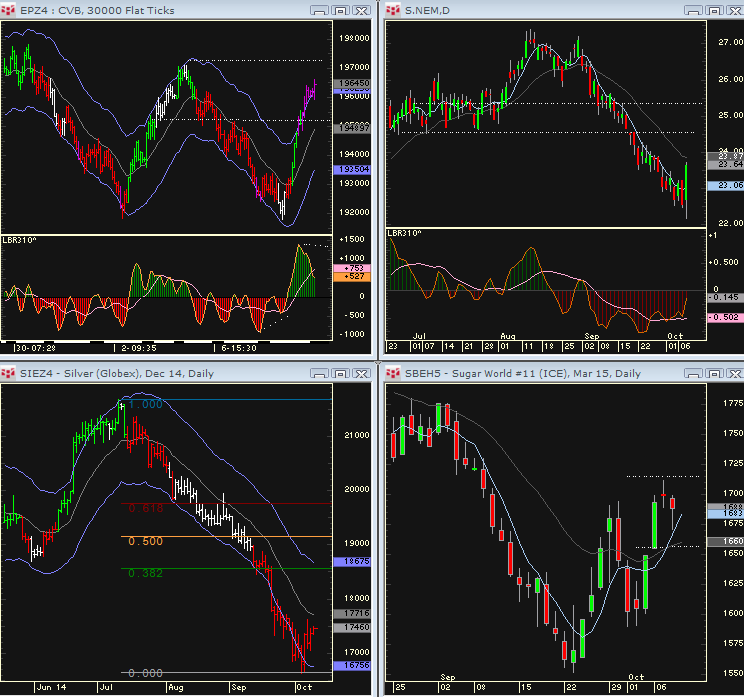 still, look for AD CD JY EC GC SI etc to consolidate to the daily EMA. Gold stocks may have put in lows for now – check out the chart of NEM ASA, etc etc. GC and SI put in a higher low on the 120/240 minute charts. Gold is close to the daily EMA _ silver should work back towards this level as well. The daily chart above shows just how deeply oversold silver is.